Throughout the month of July we will be celebrating our ten years of business. If you are an existing client, we want you to call into our offices to help us celebrate. If you’re not already an existing client we would like to see you too. 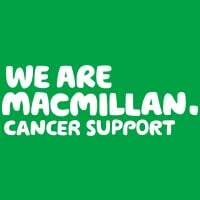 As part of our celebrations through July we will also be raising money for Macmillan Cancer Support. You can find out more about the work they do here. If you would like more information on this please get in touch. You can email us through the website here or call our office on 0800 027 2480 and speak with one of the team.